Carpatho-Rusyns are one of the major ethnic groups of Pennsylvania. From the time they settled the state’s small towns and cities in the late 19th century until the present time, Carpatho-Rusyns have left an indelible mark on the state with their “onion-domed” churches, rich cultural traditions, and devotion to their roots. 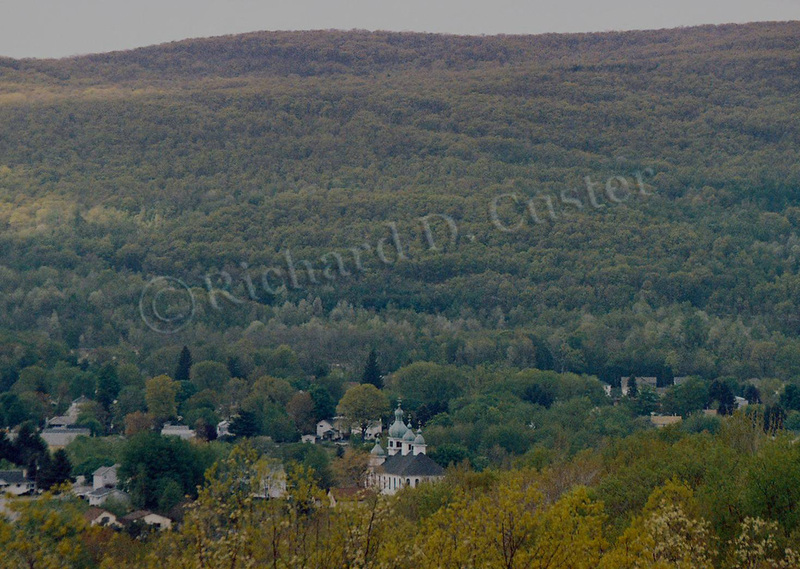 Rusyn church, Jermyn, Lackawanna County, Pa.
Carpatho-Rusyns began to settle in the anthracite coal mining districts of northeastern Pennsylvania in the late 1870s. Small towns and burgeoning cities like Shenandoah, Freeland, Shamokin, Mount Carmel, Mahanoy City, McAdoo, Centralia, Nesquehoning, Lansford, Hazleton, Wilkes-Barre, Scranton, and Olyphant were among the first places these immigrants first found work and made their homes. There they built churches, established fraternal insurance societies and social clubs, founded small businesses, met their spouses, raised children, and buried their deceased. In the decades that followed, Carpatho-Rusyn immigrant communities sprang up in central Pennsylvania (primarily in Centre and Clearfield Counties) and in the Philadelphia and Pittsburgh areas. By 1900, there were Rusyn immigrant settlements in at least 25 counties and these communities numbered in the hundreds. In the decade 1910-1920, 54% of Carpatho-Rusyns in the United States lived in Pennsylvania. A far larger number of the total had lived in Pennsylvania at one point but later moved to other states. 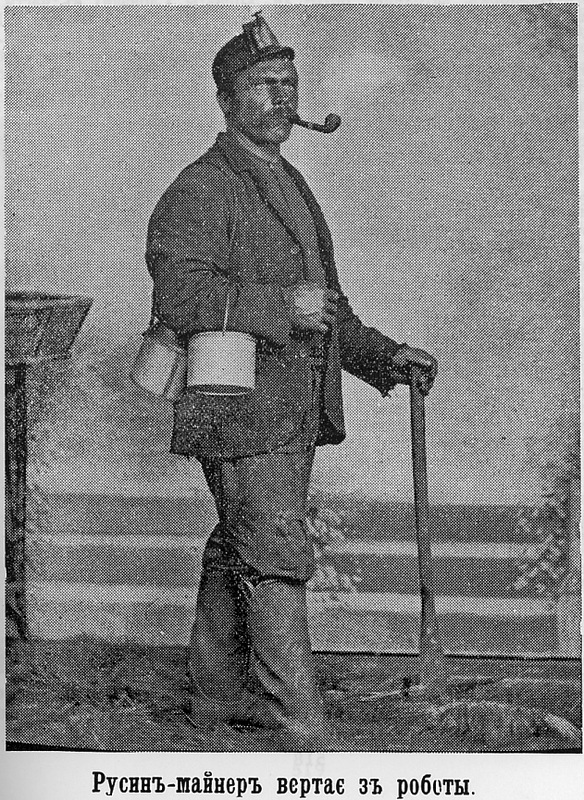 While they found work in the early years as anthracite coal miners or on railroad lines, in the Pittsburgh area and throughout southwestern Pennsylvania the steel industry, supported by bituminous coal mines and coke ovens, provided a livelihood for tens of thousands of Rusyn immigrants. Johnstown’s steel mills and extensive bituminous coal mining operations gave rise to dozens of Carpatho-Rusyn communities across west central Pennsylvania, and the industrial plants of Erie led thousands more Rusyn immigrants to northwestern Pennsylvania, where others worked in the oil or timber industries or established farms much as they had known back in their European homeland villages. In every place there were businessmen and businesswomen among their ranks: undertakers, hoteliers, shopkeepers, saloon owners, beer distributors, midwives, boarding house owners, even bankers and travel agents. Whether they called themselves, or were called by others, Rusyns, Rusnaks, Ruthenians, Carpatho-Russians, Lemkos, Russians, Ukrainians, Slovaks, or any of a number of other names, Americans of Carpatho-Rusyn descent have contributed much to the rich ethnic mosaic of Pennsylvania, and their story should be told. This blog will describe a project over two decades in the making that will do just that. The ultimate goal of the project is to publish a comprehensive illustrated history of all the Carpatho-Rusyn immigrant communities and their churches, fraternal lodges, social clubs, and businesses in the state. This blog is intended to grow over time to better describe the project. Watch for followup posts to learn about the background of the project and various aspects of the research. I welcome your feedback, inquiries, and suggestions in the comments of various posts. Hostile or off-topic comments will not be approved. Best wishes with this, Richard. Your work has helped to bring my Family together, even though our annual Memorial Day Reunion in Hawk Run is discontinued. Our Family from Kapisova and Ladomirova thanks you. Djakuyu from the Hawk Run Lads! Absolutely, John. Leisenring was the spiritual & cultural center for many years for Rusyns in Fayette, Westmoreland, Washington, and Greene Counties until they founded their own churches and fraternal lodges in their own towns/villages. I have a lot of fascinating material and wonderful photographs from Leisenring/St. Stephen's. I would love to scan a few pages (one in particular) from an original copy of the 25th anniversary book. Do you know who might have one? I believe the Karaffa family has/had an original copy. I would love to see any pictures or documentation. My father was baptized at the church. He died young, therefore, I never had the opportunity to learn of his history. Good work, Rich. I looked at the 1893 map and noticed that Cambria and Somerset Counties were blank. I thought: There must have been some organized communites not long after this near the border between the two counties; there were both coal mines and steel mills. Then I came to the 1900 map and there they were. Thanks, izhnannyk. Actually it was right around 1894 that organization started to happen in Johnstown, and then a few years later in Windber, just before 1900.
how far back are you going? Mont Clare church was founded 1897 - says so on their cornerstone. As far back as possible... I want each entry (history of a community) to indicate the earliest date of any record I've found of when a Carpatho-Rusyn immigrant was living in that place. Occasionally I will refer to a parish history, a memoir, or a family's documented research for this evidence (or claim). But most of this will be based on parish metrical records (Greek Catholic or Orthodox). There may well be Carpatho-Rusyns recorded in Roman Catholic parish metrical records in many places that predate Greek Catholic records for that area, but Roman Catholic records of that era (1870s-1880s) are very centralized now at the diocesan level and are very difficult, if not impossible, to be granted permission to review for this purpose (only if you are looking for a specific person). So generally the "pioneers" of a place will be identified from records in parishes like Shenandoah (from 1884), Freeland (from 1885), Kingston (1887), Wilkes-Barre (1888), Olyphant (1888), Duquesne (1890), Pittsburgh (1891), Leisenring (1892), and so on, where they covered a lot of territory. And of course there are later settlements whose pioneers will be easier to identify since they appear in Greek Catholic or Orthodox records of churches that were well established in a region by the time a newer colony in that area started to appear. Also, there were Rusyn immigrants living in Phoenixville (Mont Clare) appearing in the records of St. Michael's in Shenandoah already in 1886. St. Mary's Ukrainian Greek Catholic Church was established in McAdoo, Schuylkill County in 1891, serving people that identified as both Ukrainian and Rusyn. St. Michael's Byzantine Catholic Church was established in 1908 after a split within St. Mary's over church finances (sidenote: Fr. Andruhovych was the priest at the time; a similar incident occurred during his tenure at St. Michael's in Shenandoah). McAdoo also has Holy Trinity Russian Orthodox Church. Not sure of the exact year it was established, but it was established by Russian immigrants, as well as Ukrainians and Rusyns who were either always Orthodox or who had converted back to Orthodoxy. Please let me know if I can contribute anything about my great-grandparents - John Mark Nazarchyk and Anthonia Stremecka Nazarchyk. They were Lemkos from Nowy Sacz County in what is currently southern Poland. They immigrated and they were married in Mt. Carmel (Northumberland County) on November 24th, 1901, at St. Peter & Paul’s Ukrainian Catholic Church, by Friar Stephen Makar. Take care and best wishes with your endeavor! My great grandparents, on my dad's side of my family, came from the Jakubany region in Slovakia. (My grandparents, from my mom's side, came from the Orava area.) I just started planning a trip to Slovakia for May and was wondering if there is someone on your site that might be able to help me with some tips on traveling through the area. I just can't stop reading all of this. Grew up in St. Stephen's Byzantine Church in Leisenring. Thanks to all of you!